When a great idea is in the works, no one wants to put it on hold to learn an entirely new skillset. Now there's an alternative. Get that app to market fast, using existing skills and powerful new tools, and grab a piece of that multi-billion-dollar market. 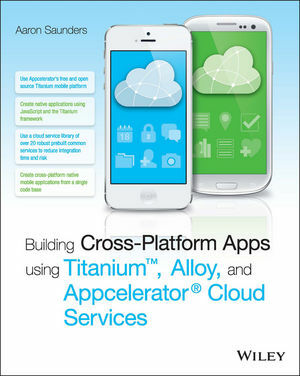 Building Cross-Platform Apps using Titanium, Alloy, and Appcelerator Cloud Services is your ticket to the front of the line. Aaron Saunders is a former Platform Evangelist for Appcelerator Titanium, providing information and support for Titanium mobile developers. Aaron is the founder and CTO of Clearly Innovative Inc, a digital services agency with offices in Washington, D.C and New York City.